﻿I work on a range of projects for a variety of clients, including local authorities, private land owners, contractors, property developers, government departments and their representatives. Non-notified change of conditions application approved allowing reconfiguration of the approved Stage 5 Apartments at Whitby Lakes Retirement Village approved 1 December 2016. Thanks to Porirua City Council planner Stuart Smith for fast processing, and Pacific Environments NZ Architects and Thresher Landscape Architecture and Urban Design for awesome plans and photo simulations that helped get the application approved. This has been a great project to work on for the past 10+ years as the site has been developed, and the project team and clients even better. The current owners have a unique resident focussed philosophy - refer their Aegis website link here. Application for internal alterations at the Ropata Lodge Care Community, Lower Hutt - to assist Design Network Architecture Limited. 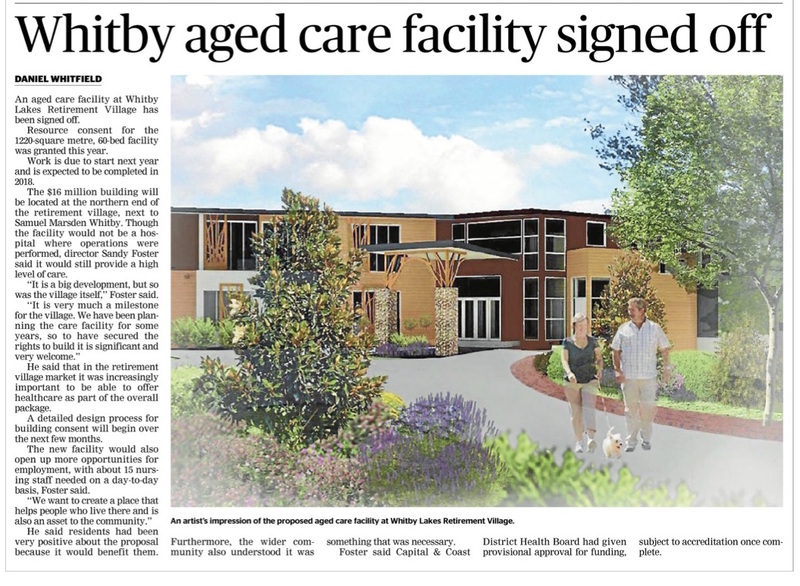 Notified resource consent application for a 60 room Aged Care Facility at Whitby Lakes Retirement Village. This is the latest stage in an expansion and upgrade project that I have been involved with for more than 10 years. An article in the Kapi Mana News is attached here. The decision was confirmed in March 2016. An April 2016 article by Kapi Mana News is here. I worked closely with Pacific Environments Architects, Marshall Day Limited, Cutriss Consultants, Flow Transportation Specialists and the owners of the Village. The cover sheet for the approved plans is attached here. Resource Consent and Outline Plan Approval for a School & Community Performing Arts Centre at Kapiti College, Raumati Beach. I prepared the applications to Kapiti Coast District Council under urgency and decisions were issued in time for the client to meet the Lotteries Commission funding deadline. An award of $750,000 from the Lotteries Commission was confirmed in early September 2015. I really enjoyed working with the Kapiti College Principal and the Project Team from Ian Rattray Building, McKenzie Higham Architects, and Aurecon. 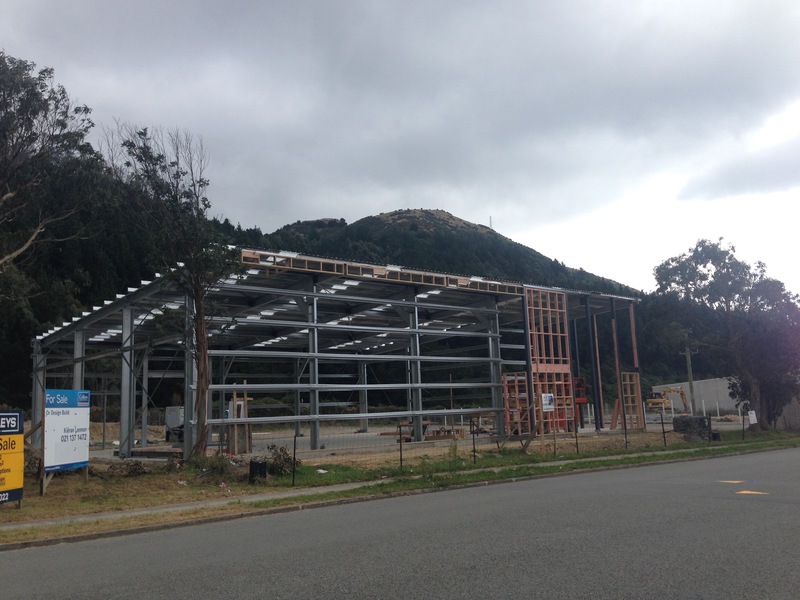 The Kapiti Observer wrote this article on the project on 26 November 2015. Work commenced in February 2016. The Kapiti Performing Arts Centre has its own website - here. 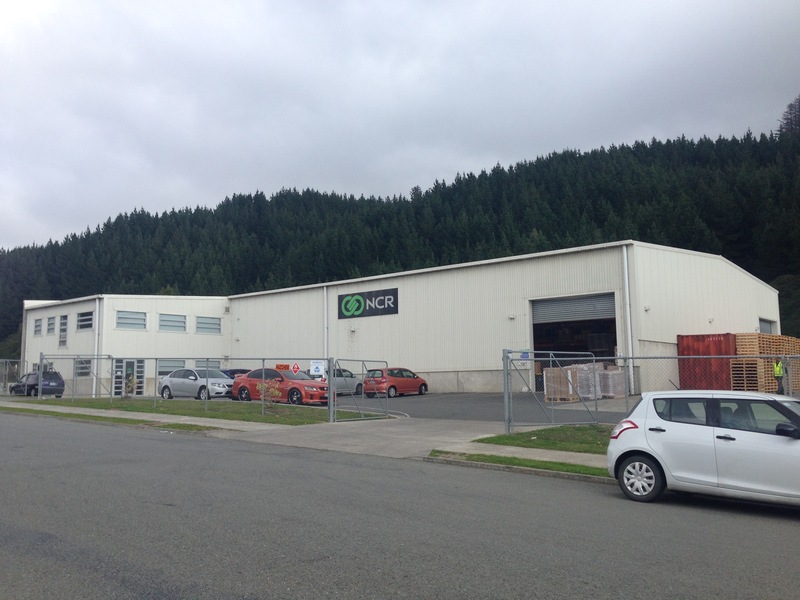 A PlaceMakers Frame and Truss Factory (resource consent obtained from Porirua City Council, 22 September 2015) - Operations commenced at the end of April 2016. A photograph of the completed building taken in April is here. A global consent for repairs and maintenance activities at 12 sites on the Spicer Stream in Tawa for Wellington Water Limited issued by Greater Wellington Regional Council. Copy of officer report here. I worked with Frances Forsyth of Wildlands Ecological Consultants to assist Paul Davison of Wellington Water to obtain the consents so so CCL (the contractor) could complete flood repairs and avoid future inundation effects in Tawa. Westside Industrial Subdivision Project at Broken Hill, Porirua City - I have assisted since 2008 with this staged 17 lot subdivision and clean fill rehabilitation/redevelopment project, preparing a private plan change (PC13), and obtaining a suite of resource consents from Porirua City Council and Greater Wellington Regional Council, and working with traffic, noise, ecology and landscape consultants who provided specialist input from time to time. Final subdivision consents issued in 2017, with new titles for final lots due for issue November 2017. 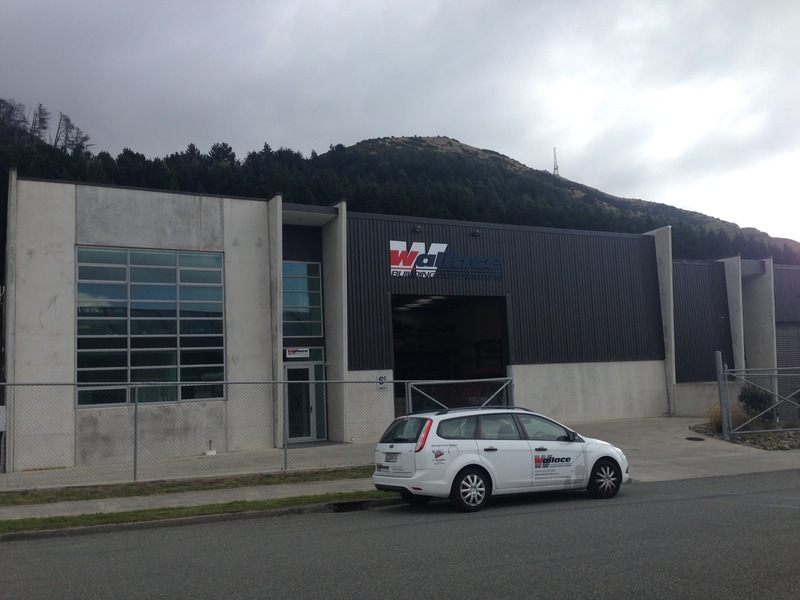 Resource consents for industrial buildings at Broken Hill, Porirua City. 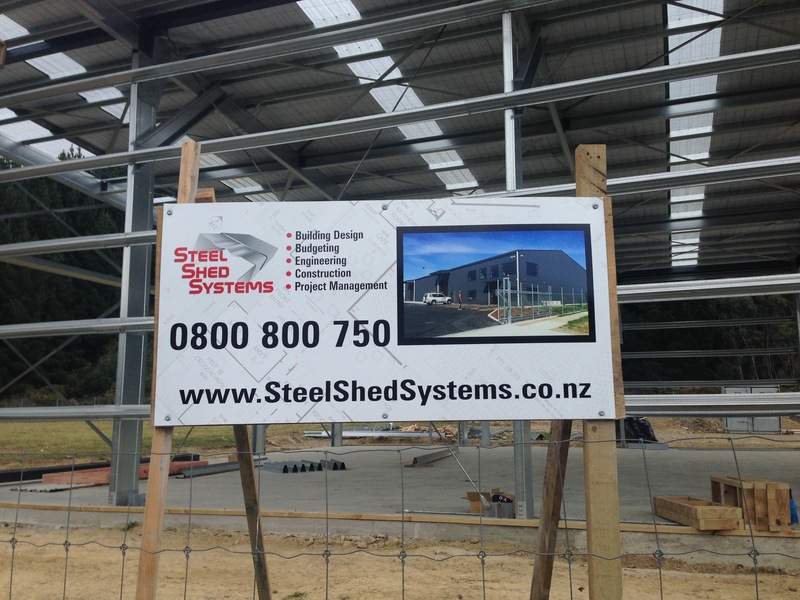 Photographs of completed NCR and Wallace Building Contractors buildings here and here, and one of four new buildings approved in February 2016 under construction by Steel Shed Systems here and here. Variation to a Consent Notice to allow a second vehicle crossing for an industrial building at Broken Hill for Tenga Pickering Contractors, in association with Stephen Geuze of DJ Silverwood Architects and Harriet Fraser Traffic Engineering & Transportation Planning. I provide regular responses and assistance to clients wanting to subdivide or set up a home business. I prepared a submission for a rural property owner opposing expansion of a rural transport operation and assisted in negotiations with the Council and applicant to achieve a positive way forward (ongoing). Lodged 9 unit residential townhouse subdivision development at Aotea, Porirua (November 2016), for Design Builders Wellington, in association with Adamson Shaw who provided the scheme and earthworks plans. The brochure for the development is here. Decision Report issued 14/2/2017 is here. An appeal process for a residential apartment development (acting on behalf of submitters in opposition, preparing and exchanging evidence, and expert conferencing in November 2015 for an Environment Court hearing scheduled for April 2016). The appeal was withdrawn in April 2016. A Hutt News Article (May 2016) is here. Resource Consent for alterations and extensions to a house at Raumati Beach (consent obtained February 2016). I worked with Space Architecture on this project. Providing advice to a private landowner and liaison with Wellington City Council officers on their behalf - covering proposed residential development on adjoining land in Roseneath, Wellington, encroachment licences for car decks, and future development options on their own property. A modified proposal was approved in June 2016. Assisting Porirua City Council Parks Department and Village Community Projects Team with consenting for emergency flood repairs in local streams, a new bus shelter at Pauatahanui Village, Floodlights for Ngati Toa Domain, and a beachside reserve at Plimmerton. Assisting with consent processing and reporting for Porirua City Council - (PCC) - On-going since mid-2016. Assisting with consent processing and reporting for Kapiti Coast District Council - (KCDC) 6 month contract in 2015. Applications processed for PCC and KCDC included subdivision, new houses, accessory buildings, alterations and extensions to business premises, changes to consent notices, home occupations, right of way easements required following State Highway construction work, and increasing the hours of operation of the BP Mana Service Station. The BP application was withdrawn in March 2016 prior to the public hearing. I have since approved applications for an 'out of zone' Vet Clinic, a non-complying activity Rural Zone subdivision, and sewer repairs in Bothamley Park. 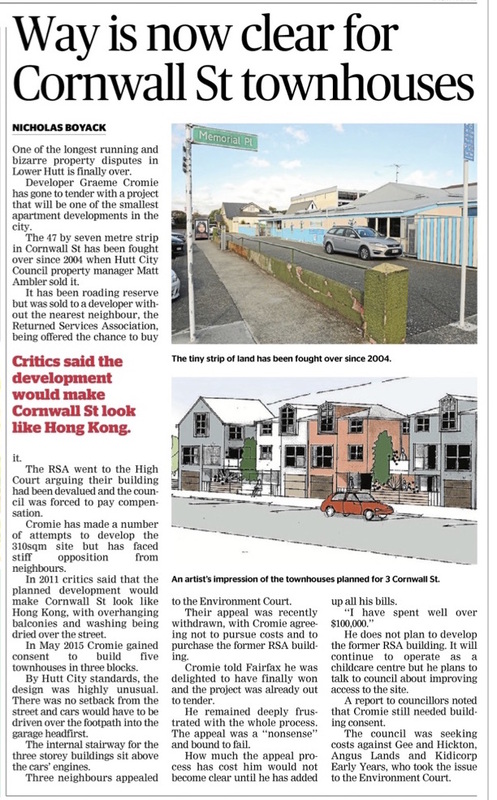 I have been working on stormwater attenuation proposals in flood-prone parts of Porirua City, and several other residential proposals, averaging three decision reports issued each week over three months to November 2016. 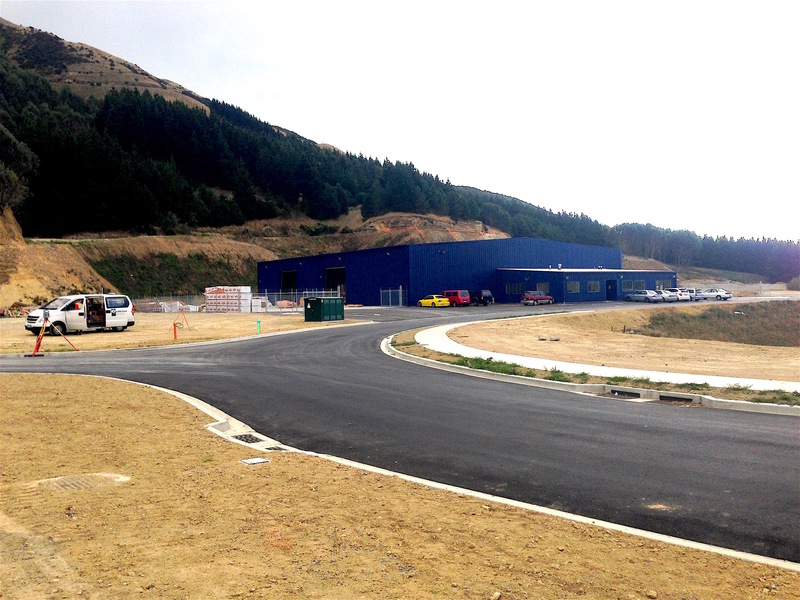 Since then work has focussed on large residential subdivisions and Transmission Gully Project and Porirua Link Road consenting work, certification of SSEMPs for the TGP, minor and moderate changes, Notice of Requirement, Outline Plan of Works Waivers and In General Accordance Reporting as well as Resource Consent applications for earthworks fill areas, depot expansions, extensions of culvert outlets with dissipation structures, and project laydown areas. I provide pro-bono assistance to the Jackson Street Programme (Petone, Lower Hutt) - on planning related matters, and event organisation including the 2015 Petone Twilight Christmas Parade. For 9 months I was co-opted to its Board and subsequently elected as Secretary at the November 2015 AGM and Chair of the Heritage Committee. Responding to queries from small business owners in my local community to assist them with property development projects.